Iced high cake with three layers of light sponge cake and cream filling, infused and decorated with freeze dried red and blackcurrants , raspberries, strawberries and edible flowers. A truly magical new cake, this beautifully presented cake is perfect for showing off in your cabinet, your customers will find it hard to resist. 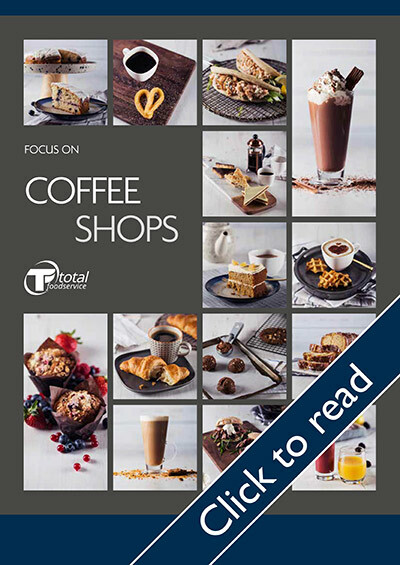 Great for coffee shops and afternoon teas. 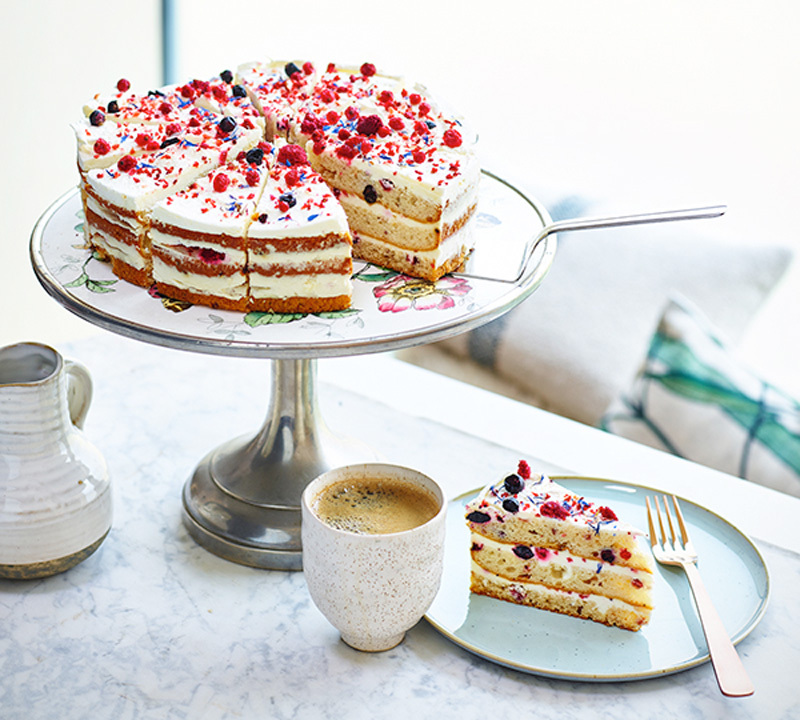 Light coffee-soaked sponge with cream and mascarpone filling with a touch of Marsala. 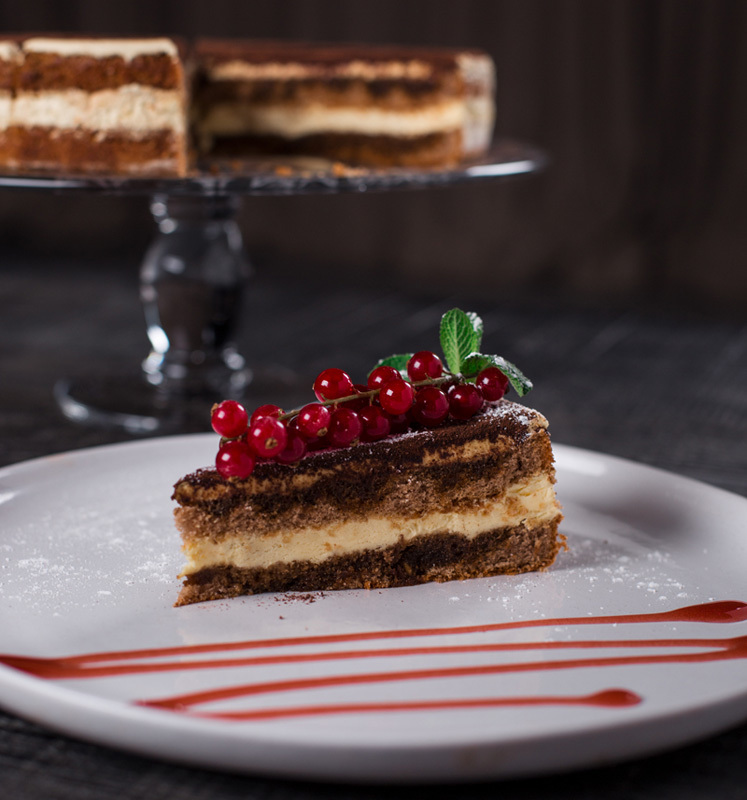 Simply delicious all on it's own, but a few finishing touches turns the tiramisu into an enchanting finale to any lunch or dinner. 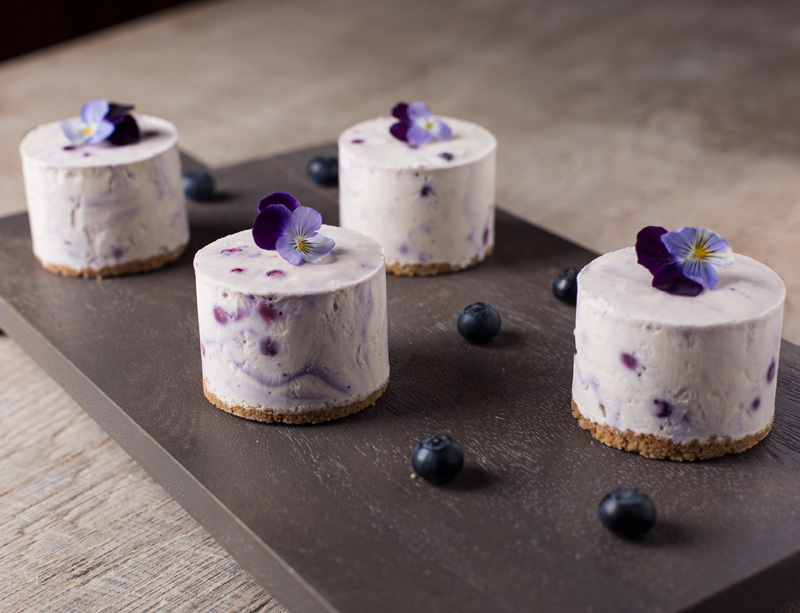 A digestive based cheesecake topped with a real creamy Belgian white chocolate blended with blueberries. Our most popular dessert for banqueting and functions. Simply thaw, add your own sparkle to the plate and serve. We think they look stunning topped with a purple edible flower. A gluten free, date and mixed nut case filled with a Belgian chocolate and coconut filling, finished with a coconut swirl. 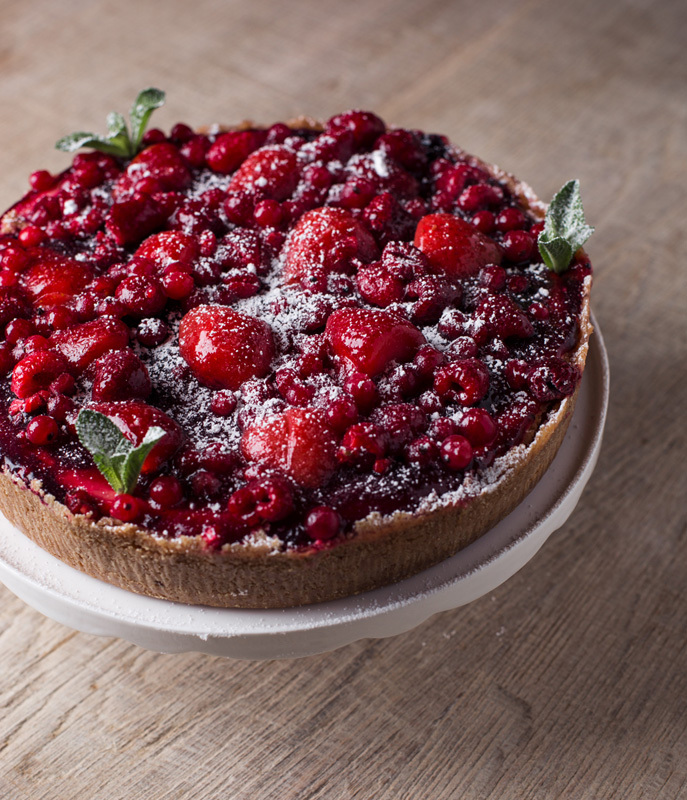 Why do we love this torte? 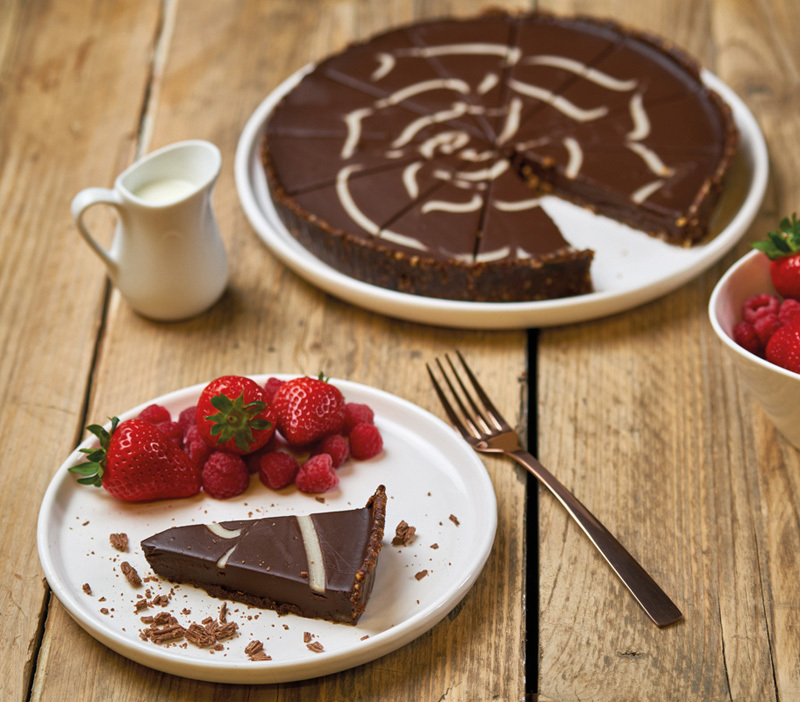 Firstly - It's DELICIOUS, secondly - It's free from gluten and dairy and suitable for vegetarians and vegans. 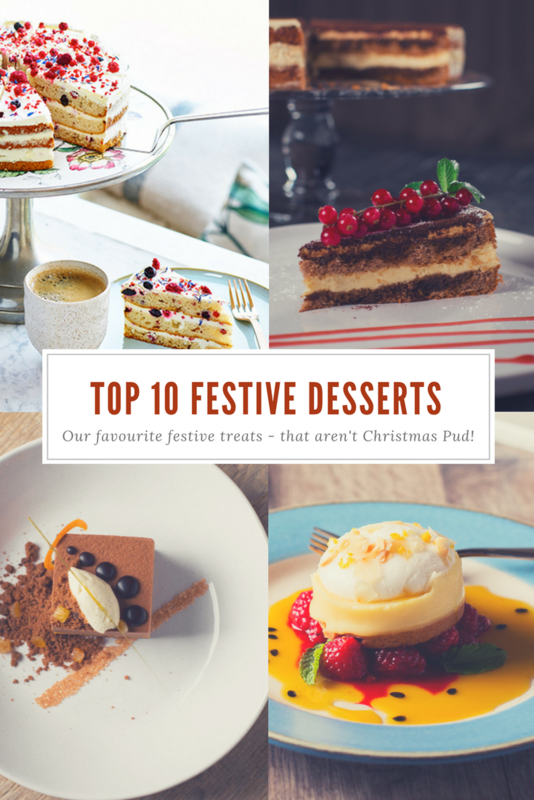 With more and more consumers needing these dietary options, we think this dessert should be on every Christmas menu. Lemon meringue pie is tangy, fresh and light, offering a lovely mix of textures on the palate and a resolutely modern, elegant look. 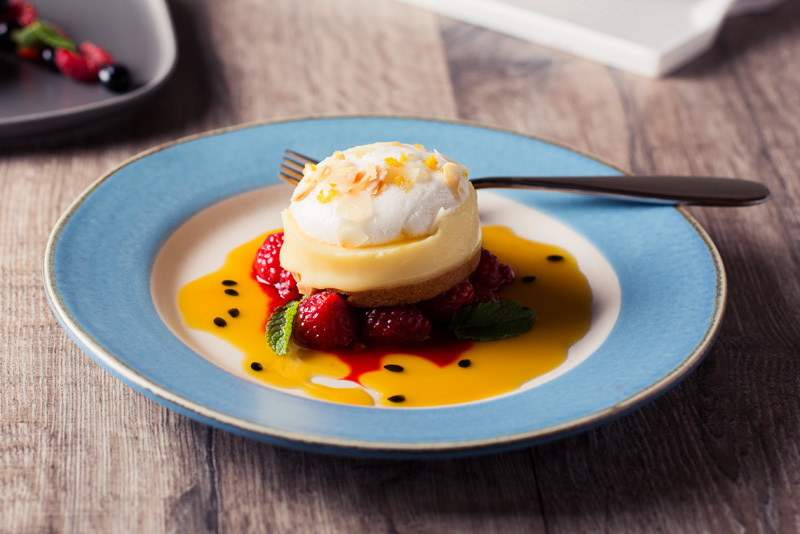 This essential dessert is made using a crispy butter shortcrust combined with a slightly tangy lemon cream mix and a light Italian meringue. This Lemon Meringue Pies’ sophisticated final touch is its sprinkling of slivered almonds and orange and lemon zests. This product is ready to serve as soon as it has defrosted – there is no need to caramelise it, and its base makes it easy to handle so you can give your guests an irreproachable service. Click here for appetising ways to present this Lemon Meringue Pie. Chocolate cream and Gianduja hazelnut fondant on a crunchy crumble base. Decorated in a gourmet style with almond slivers, ground hazelnuts, candied orange pieces and crumble. Suitable for vegetarians. Gianduja Shortbread Cake comes ready to serve and decorated in gourmet style with almond slivers, ground hazelnuts, candied orange pieces and crumble. The dessert’s crumble base makes it easy to handle, and its 90g individual portion format means you can manage your costs per diner. 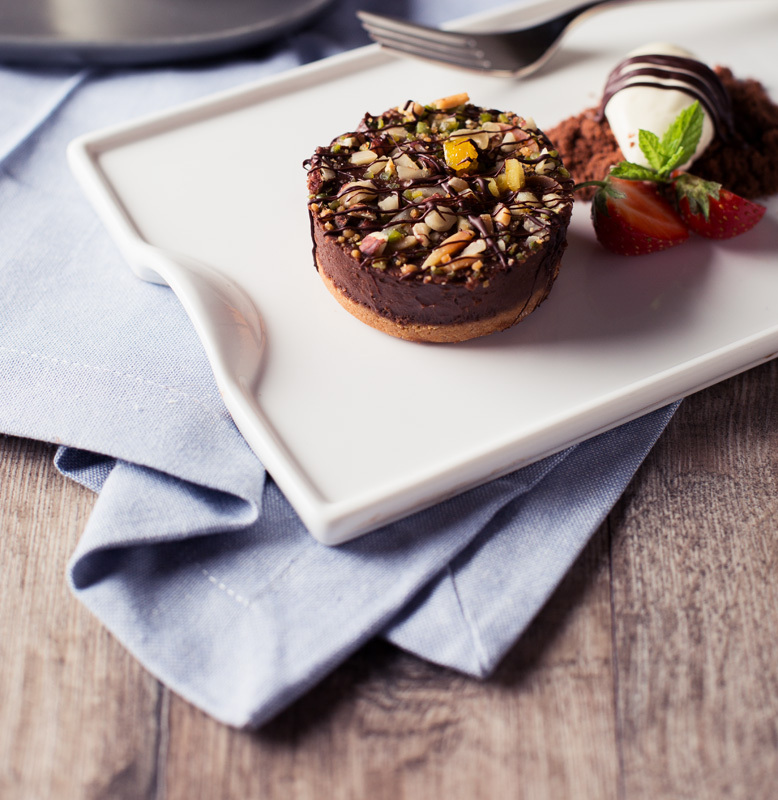 Click here for appetising ways to present this Gianduja Shortbread Cake. Baked cheesecake set on a biscuit base and side, topped with blackcurrant filling and decorated with strawberries, raspberries and redcurrants then glazed. Suitable for vegetarians. A stunning dessert for a display cabinet, create a snowy finish by dusting with icing sugar before serving. Great for coffee shops as well as being a wonderful addition to a sit down Christmas menu. Our product, your creation. This simple dessert aims to offer you all the right elements to turn it into a sensation. The base dessert, which taste every bit as refined and subtle as it looks, is the perfect basis for your own creativity, so that you will always come up with astonishing new desserts. 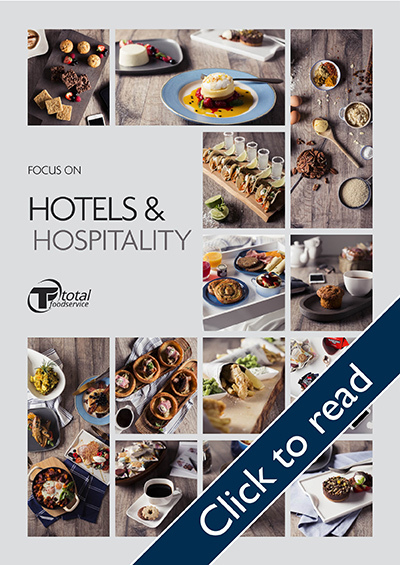 Complete with different textures, create a range of fragrances and flavours and combine all this in an eye-catching presentation: your guests’ meal is guaranteed to end with a tasteful finale time after time. Take a look at a serving suggestion here. 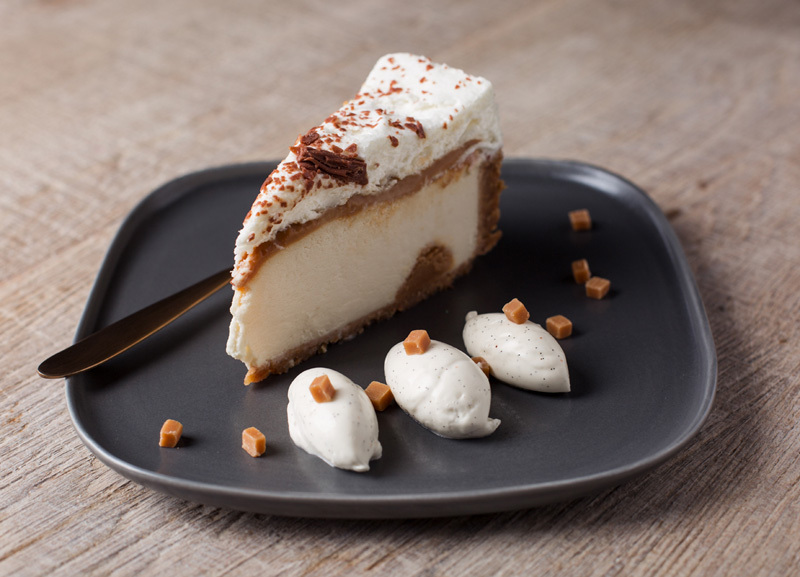 A delicious, American style cookie crust filled with the most fabulous banana cheesecake and combined with a smooth banana purée which delivers a truly lovely taste. Each slice has a good dollop of caramel in the centre with even more smothered on top, finished with a cream mousse and chocolate shavings. We've dressed ours with quenelles of Northern BLOC quality vanilla ice cream and small toffee pieces from our SOSA range. 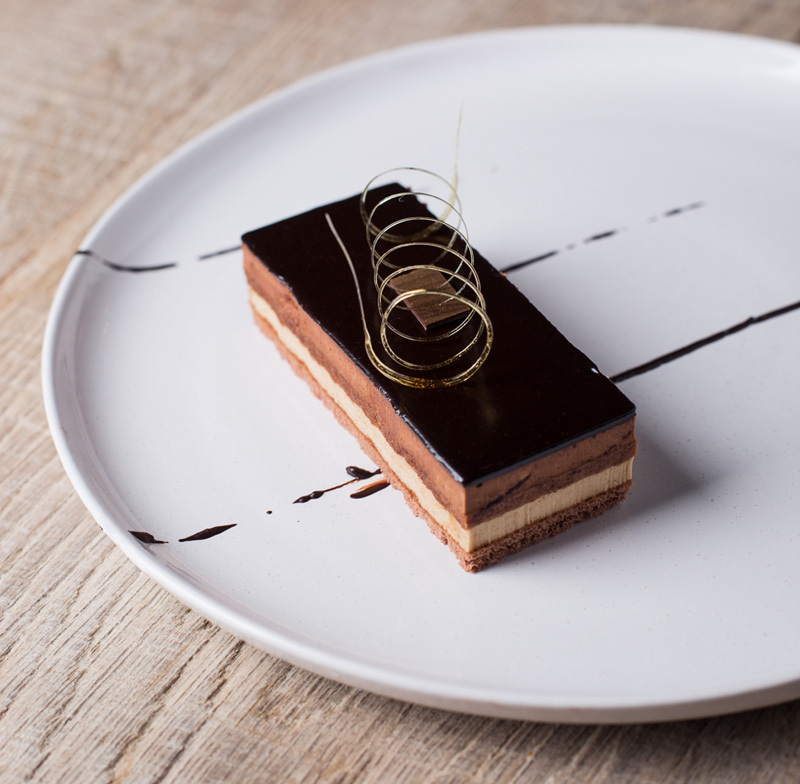 Individual rectangular bavarois made with a layer of chocolate and coffee, divided by a layer of crunchy almond sponge. Finished with a dark chocolate ganache. The last dessert on our top 10 list, but by no means any less delicious than the first. 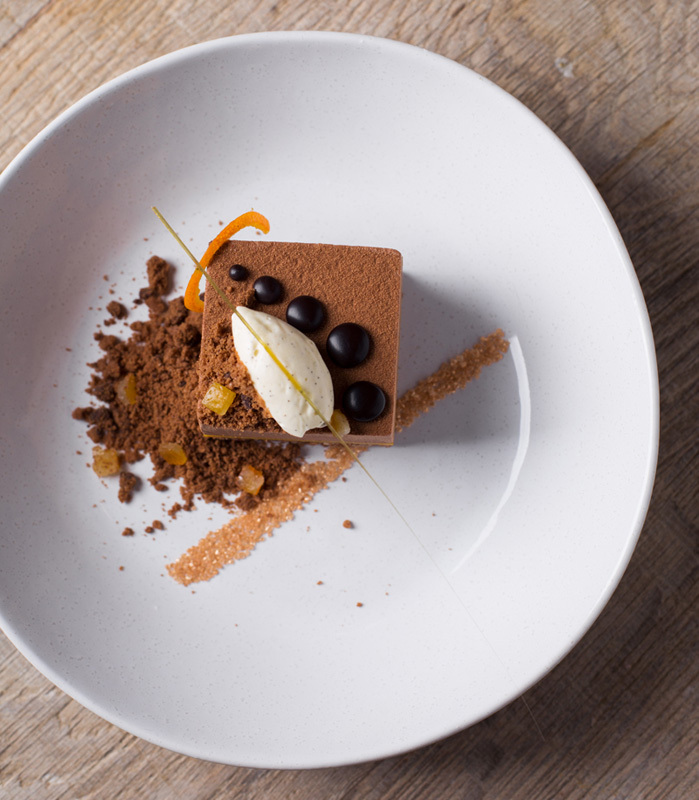 Being a thaw & serve, individual dessert makes this perfect for banqueting and functions. It's stunning on it's own, but you can dress it up to the nines if you like!